Let enthusiasm be your guide on the road through life. The Three Foodies enjoy a night of Indian culture. Eating spicy foods, shopping, entertainment and friendship are the things that The Three Foodies enjoy the most. Arceli, Shalni and I celebrated my belated birthday on this day, and I will always remember it with deep gratitude. 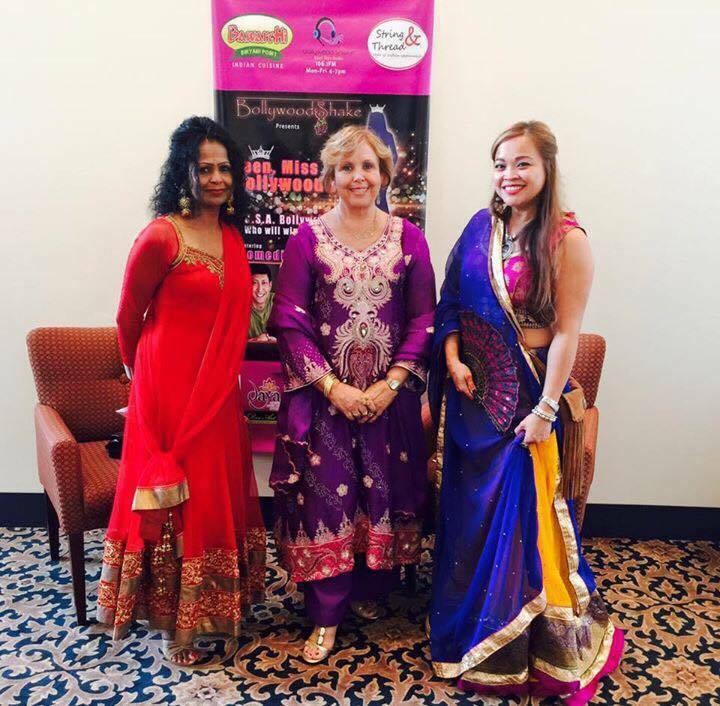 On Sunday, Sept. 6, we dressed in our loveliest Indian attire and headed to the Stafford Center for the Bollywood Pageant USA 2015, presented by Bollywood Shake. But let’s not get the cart before the horse. First we looked for a place to have lunch and decided on Haveli on Hillcroft Street, in Houston, which offers Indian, Halal and Pakistani cuisine. We sampled almost everything on the buffet, with Chicken Biryani our favorite! We enjoyed a dessert of rice pudding, and it was very good and sweet. The Cashmere tea was a great way to end our meal, before heading to Stafford, Texas, to shop and attend the 2015 Bollywood pageant, all taking place at the Stafford Center in Stafford, Texas. Shopping was a real treat with vendors offering everything Indian in every color one can imagine! We bought items ranging from a dress, ring, and henna tattoo to Indian tea. Chiro’s owner Jigyasa Anand promised to mail the matching pants for my dress, which she did immediately. The beauty pageant was exquisite! 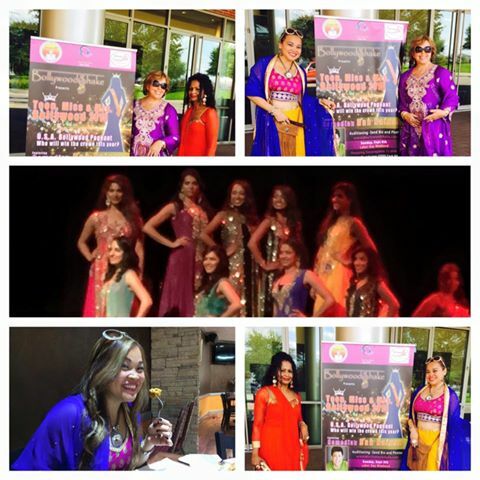 This event would choose 2015’s Miss Teen Bollywood USA, Miss Bollywood USA and Mrs. Bollywood USA. We enjoyed the entertainment and the beautiful gowns worn and displayed by the contestants. The judges were attentive and, even though we cheered for different contestants, the winners were very beautiful. They all looked like winners! The entire event was a whole lot fun! The Three Foodies enjoying the celebration! Weathering the unexpected on a three-week cruise! Correspondent and travel writer for The Tribune Newspaper in Humble, Texas, and freelance Travel Writer and blogger on Trilla’s Travels blog.